Sounds great, put me down for one, please. 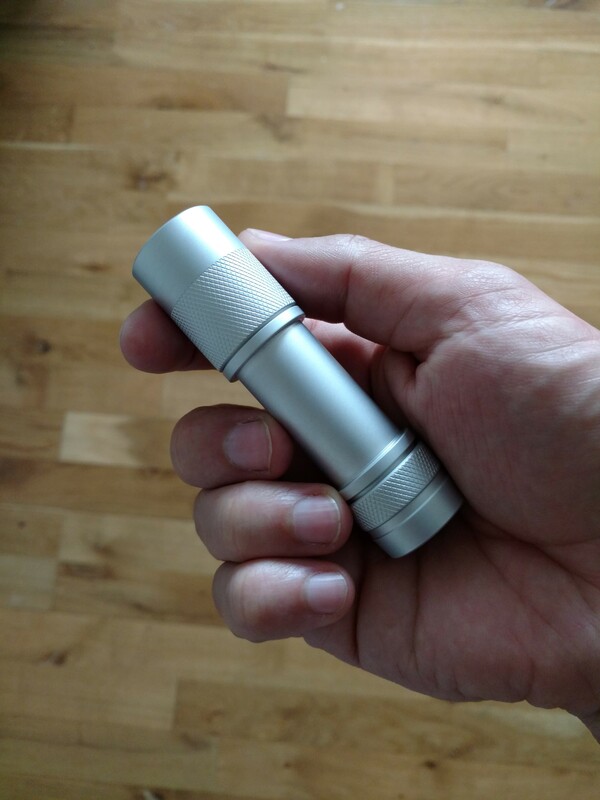 Thanks to Zak for pointing me here from r/flashlight. I’m interested. Please add me to the list. After talking to a friend about how awesome this looks can you put me on the list for TWO please rather than one. I’m sitting at #157. I’d like to be added to the interest list as well please. Thanks! I am interested as well, please add me to the list! Ok you bastards, sign me up for one. You guys are making too many cool lights. so many cool things coming up recently! Under the pretense of saving weight… I think it would be cool to mill some designs into the inner switch tube. I know, I know, the weight savings would be negligible and it would never be seen, but you would know it was there, just looking pretty. Ha! Well I am in for one also. Looks awesome, sign me up for one please! Put me down for one. Thanks for the hard work! The design looks very appealing, though a FET driver looks like an odd choice to me with very little mass to absorb the waste heat of direct drive. This means giggle away on turbo whenever you want to smile or impress people yet use it as EDC on regulated modes to keep the heat in check and have long runtimes. Triple boards are being flowed with several LEDs for testing and we will report about lumens on several mA input values. The is aimed to have the look like it came from a lathe but surely manufacturer will use a machine capable of smooth chamfered edges. Thanks Fritz! Yeah, the light looks a lot less aggressive from that angle! It must have been the lighting in the other picture makes the lines look harder than they actually are.